Have an element not mentioned in the script? Don't worry you can add them yourself! 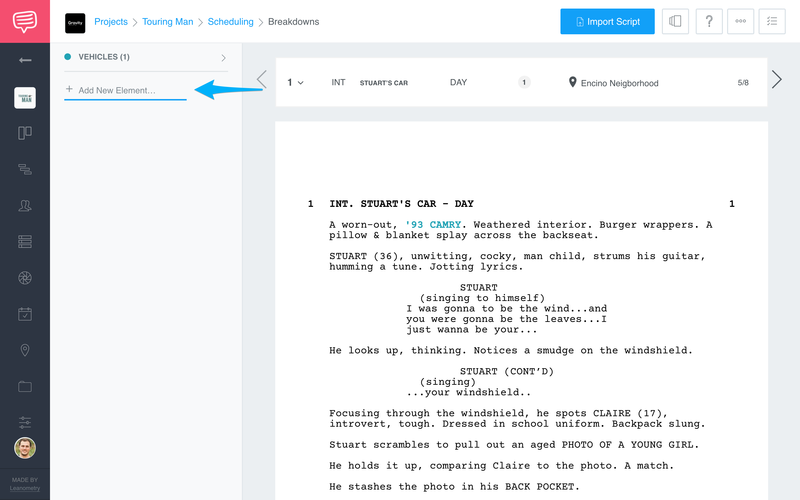 Are you looking to tag elements that aren't listed in your script? If there are elements that you need to add, but they're not actually written in the scene (i.e. wardrobe, vehicles, etc. )., you can still add these manually. No matter how detailed an imported script is, there may still be elements that won't actually make it to the page. 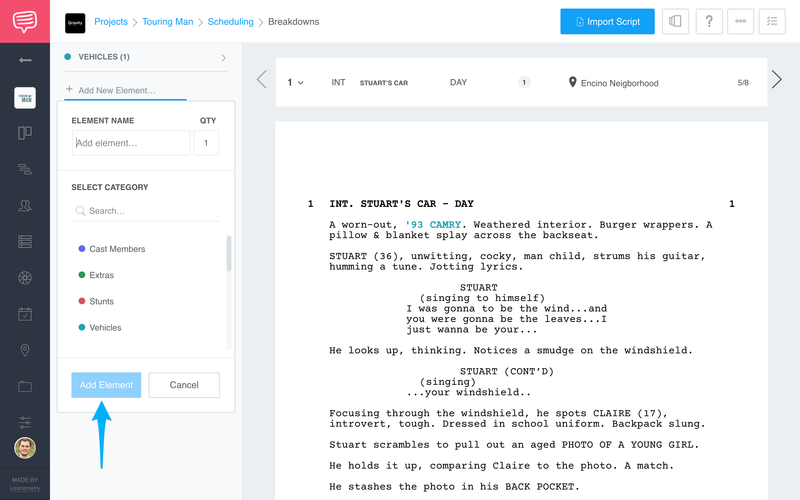 StudioBinder makes adding these unscripted elements easy. 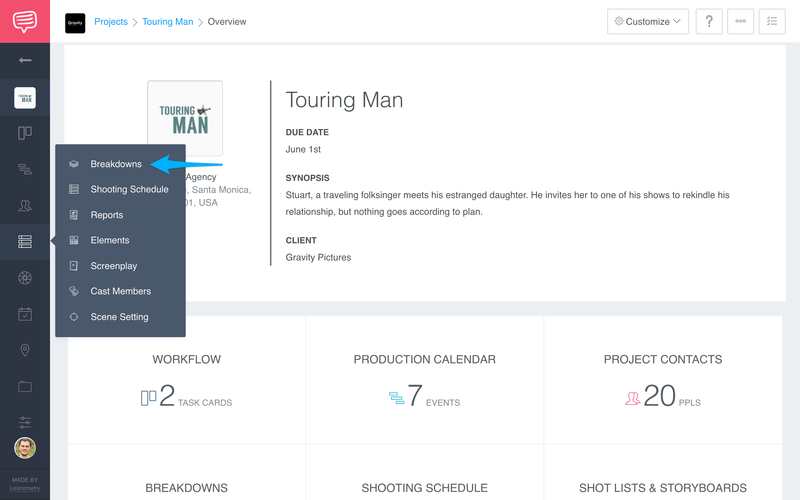 Navigate to the Scheduling drop down menu and click Breakdowns. Go to the Sidebar and click Add New Element. In the drop down menu Name your element, give it a Quantity, assign a Category, and click Add Element.